Whenever you have stove top or oven range problems, allow us to help. As qualified cooking appliance techs, we provide trusted range repair in Newark, New Jersey. Get in touch with us for routine inspections or emergency repair needs. We cover all requests as quickly as possible. Electric or gas, your range will be serviced properly and on time by our specialists here at Appliance Repair Newark. Having trouble with the way the oven is heating up? Call us for oven range repair service in Newark. Is one of the stove top burners not working? We are equally fast when there is a problem with the stove. Ovens and stoves are both parts of ranges. Whether one or both units fail to satisfy your cooking needs, we are here to check them out and provide the required services. 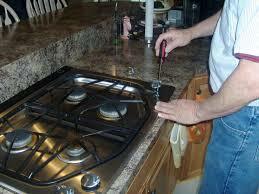 Aware of the possible safety related problems, our techs rush to offer gas range repair. If there is any problem with your gas range, give us a call. If you smell gas or the appliance is not working as it should, let us assist you today. In order to operate with safety, gas ranges must be serviced right, fixed quickly, and installed correctly. So, call us for any service. Get in touch with our team if you need gas range installation. Although we are very experienced pros, we still pay tremendous attention and make sure the appliance is well connected and safe to use. You can rest easy that our techs pay the same attention when they install and fix electric appliances. Give us a call if you are in need of electric range repair or installation. Let us fix any problem with either the oven or stove top. In order to do our job effectively the first time, we come equipped with all the necessary spare parts designed for your model. Trust the professionalism and fast response of our Newark range repair technicians! Contact our company today.